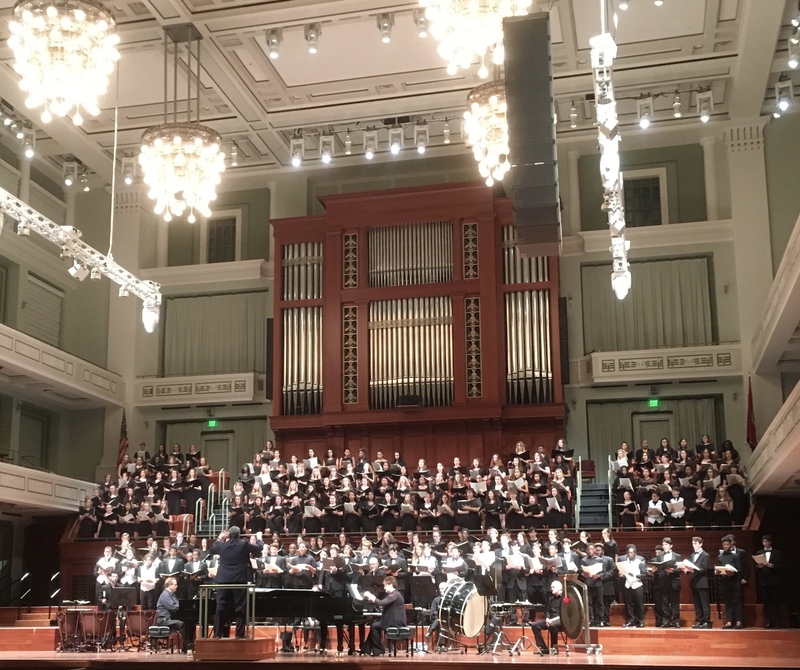 On Monday, March 25, 2019 the Nashville Symphony was thrilled to host The Third Annual Schermerhorn Invitational Choral Festival at the hall under the direction of Dr. Tucker Biddlecombe, Director of the Nashville Symphony Chorus and Director of Choral Activities at Vanderbilt University’s Blair School of Music. Six choirs from Middle Tennessee public high schools gathered for a day of music making with each other and Nashville Symphony musicians, which culminated in a performance for family and friends at the end of the afternoon. 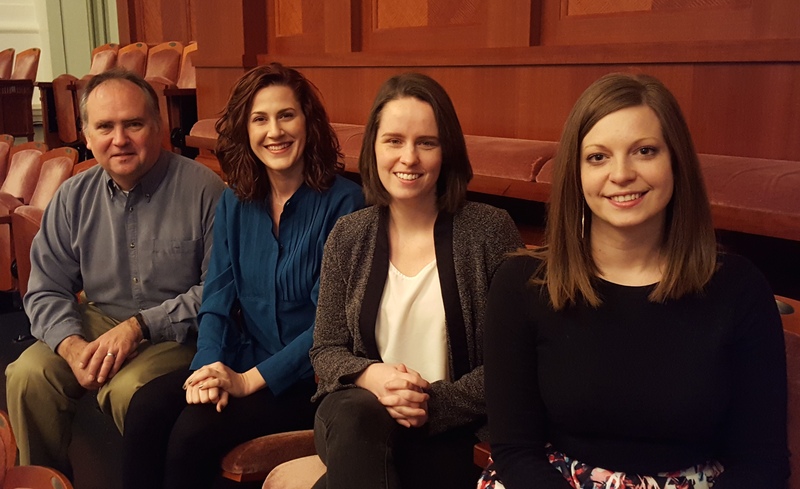 On March 26, the Nashville Symphony in partnership with the Tennessee Holocaust Commission presented Voices of Hope, the Second Annual Schermerhorn Invitational Choral Festival. This special, free education and community event was designed and presented this year as part of Violins of Hope Nashville. Voices of Hope convened student choirs from local public schools, private schools and religious organizations under the direction of Dr. Tamara Freeman, an internationally acknowledged Holocaust ethnomusicologist. Dr. Freeman worked with each choir and director individually in the weeks and months leading up to the event. All of this preparation culminated in the festival: a day of rehearsals and a free performance open to the public. 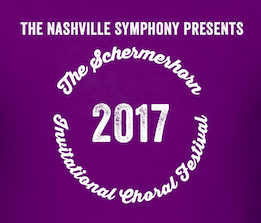 Today the Nashville Symphony hosted the first ever Schermerhorn Invitational Choral Festival at Schermerhorn Symphony Center. Monday, February 6, 2017: three choirs from Middle Tennessee public high schools gathered for a day of music making on the stage of Laura Turner Hall under the direction of Dr. Tucker Biddlecombe, Interim Director of the Nashville Symphony Chorus and Director of Choral Activities at Vanderbilt University’s Blair School of Music. A wonderful day of music and camaraderie was had by all as our beautiful concert hall was filled with the joyful sound of young people singing for and with each other. Here follows some impressions and photos from the day!